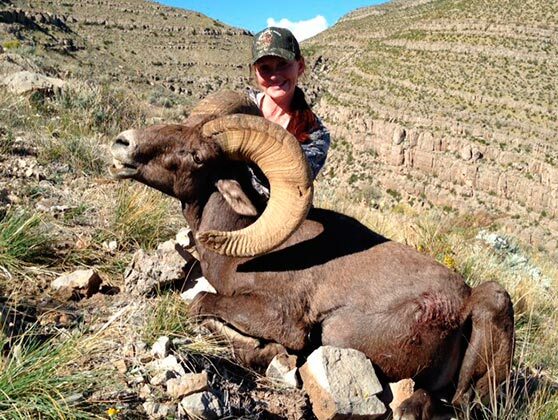 A beautiful Desert Big Horn sheep taken by Nancy B. with her Kilimanjaro Artemis 300 Win. rifle. In her husband's words (who also took his own Desert Big Horn): "Yahoo!" Bill L. takes a fabulous Wyoming Whitetail with his Kilimanjaro Leopard Rifle in 6.5x55 Swede. Hunting in Africa Henry S. and his Kilimanjaro African Rifle In 404 Jeffery takes cape buffalo on maiden voyage to Africa. Hunting in Tanzania Tracy B. takes 16 animals including 2 cape buffalo with his Kilimanjaro Doctari in .416 Rem. Desert Big Horn SheepDesert Big Horn sheep taken by Nancy B. with her Kilimanjaro Artemis 300 Win. rifle. Bill L.'s 400 lb Wyoming chocolate bear taken with his Kilimanjaro 7x57 Walkabout rifle. "Awesome results." Miles Goggan's enormous leopard taken with one shot with his Serengeti 300 WSM in Africa. Son took Elk at 345 yards - one shot - with Kilimanjaro African 300 Win. - graduation present from father. Rick McLaughlin with a very nice buck taken on King Ranch with his Kilimanjaro 270WSM custom rifle. Dr. Kevin "Doctari" Robertson's finest buffalo taken with his new Kilimanjaro Doctari 505 Gibbs rifle. Diana Rupp, Editor In Chief of Sports Afield magazine, with her magnificent Bull Tahr taken on South Island. Kilimanjaro President Erik D. Eike takes aim at a Bull Tahr at the top of the mountain on New Zealand's South Island. Kilimanjaro President Erik D. Eike with his Chamois taken very high up the slopes on New Zealand's South Island. A beautiful Bull Tahr taken by Kilimanjaro President Erik D. Eike with the Kilimanjaro African 7mm Rem. Erik D. Eike with his second Bull Tahr taken on the South Island of New Zealand near last light. William Eike takes aim at a Bull Tahr with the Kilimanjaro Leopard 6.5x55 Swede rifle during Field Testing. William Eike with his huge Chamois taken with one shot in New Zealand during 2012 Field Testing. A beautiful blonde-maned Bull Tahr taken by William Eike with the Kilimanjaro Leopard 6.5x55 Swede rifle. Arapawa Ram taken with one shot by William Eike in New Zealand using the Kilimanjaro Leopard 6.5x55 Swede rifle. Number 2 SCI Red Stag taken with Kilimanjaro Historical 10 Bore Flintlock. Erik Eike and his son took this monster 9.5ft. Brown Bear east of Iliamna Lake, on the Alaskan Peninsula. Driver Haji and Lead Safari Tracker Andrea of Zuka Safaris lounge with the Leopard taken in the Selous in Tanzania. The Zuka Safaris hunting team from our recent field-testing of custom rifles in the Selous in Tanzania. The Eike family (Erik, Isabel, Kwang & William) with two feral goats taken in Australia by Erik & William.